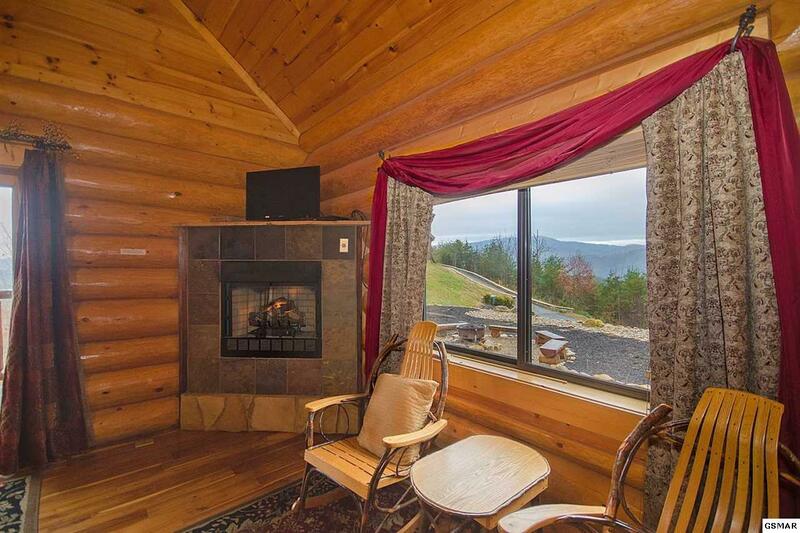 This unique cabin has amazing views in all directions and easy access with wide paved roads. 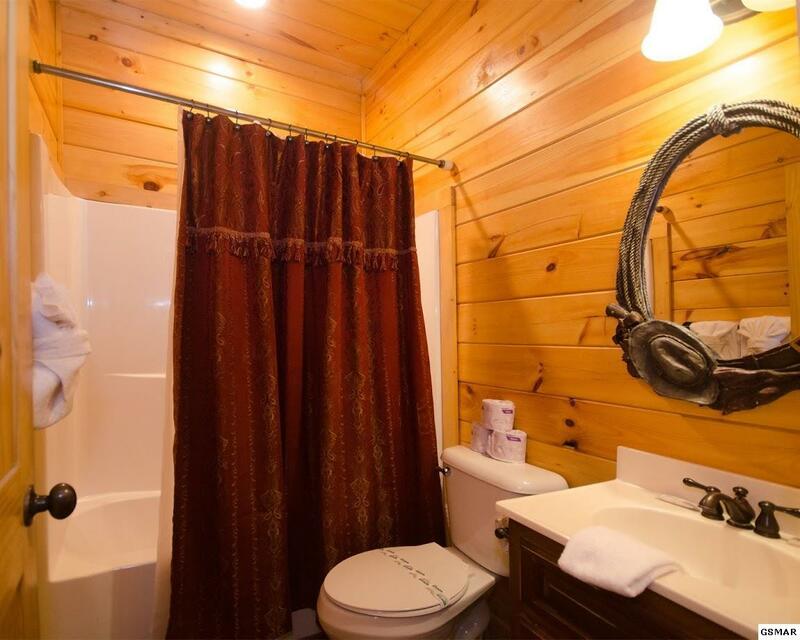 Currently an overnight rental generating $100k in revenue yearly. 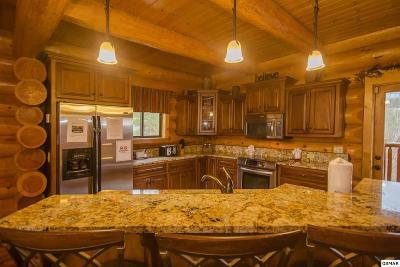 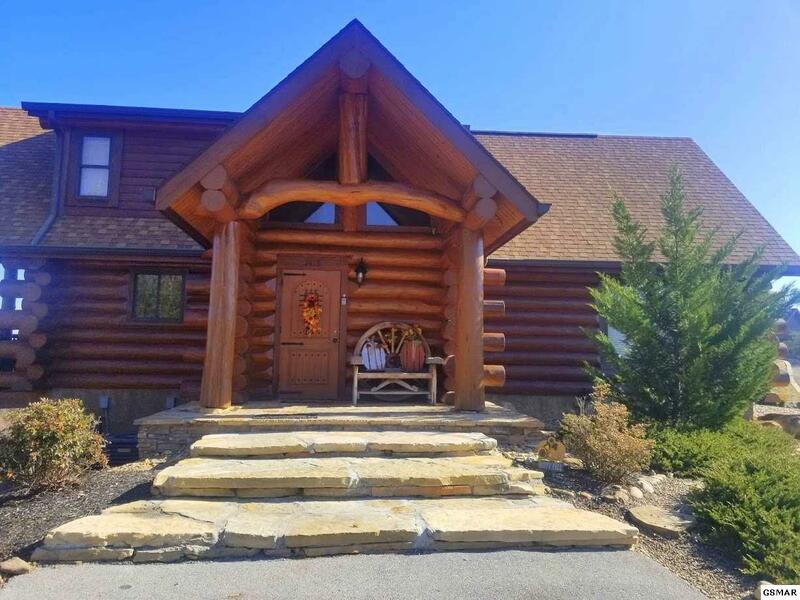 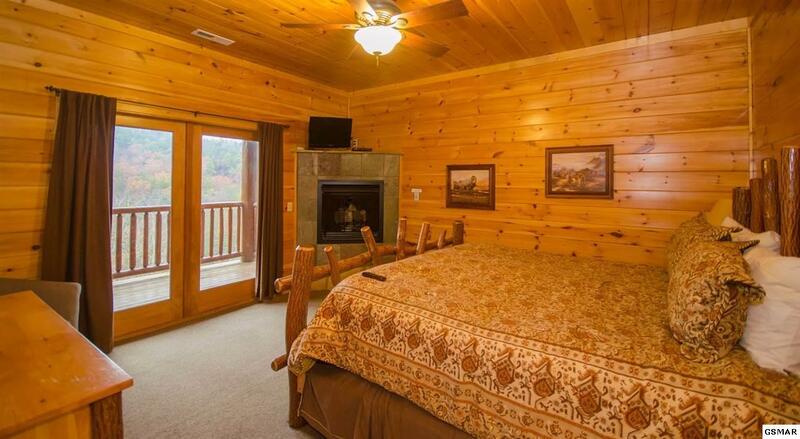 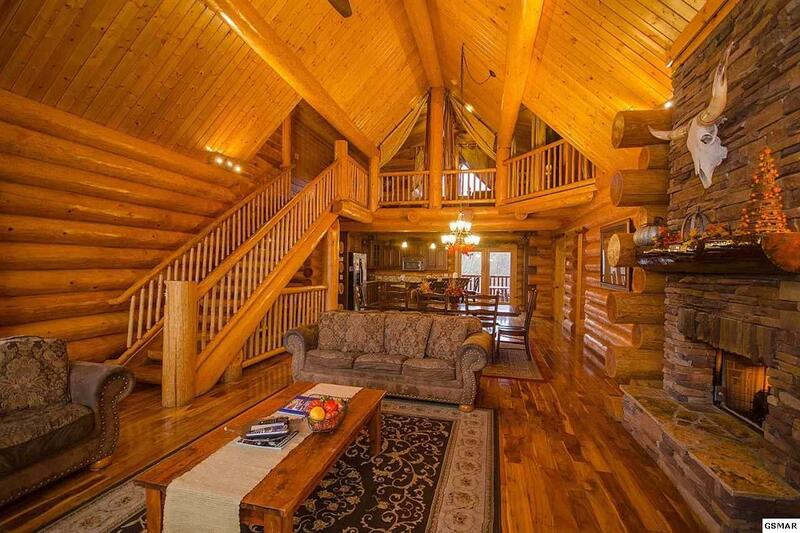 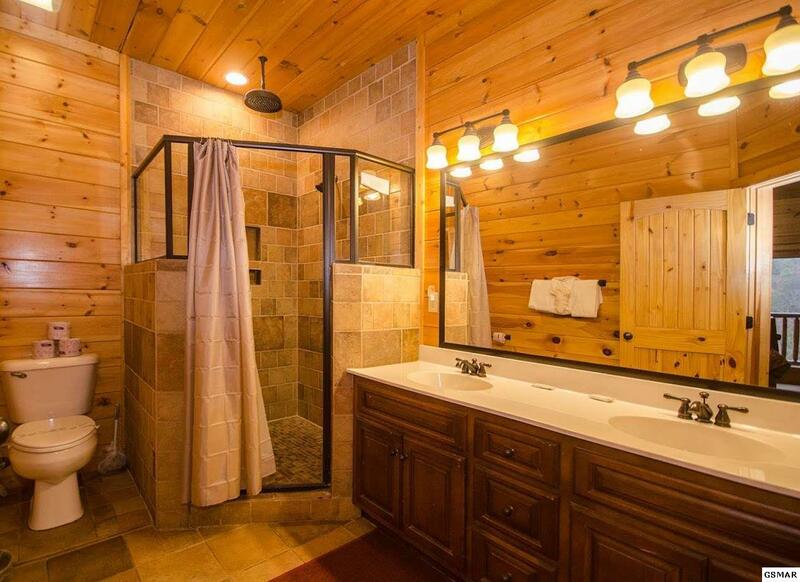 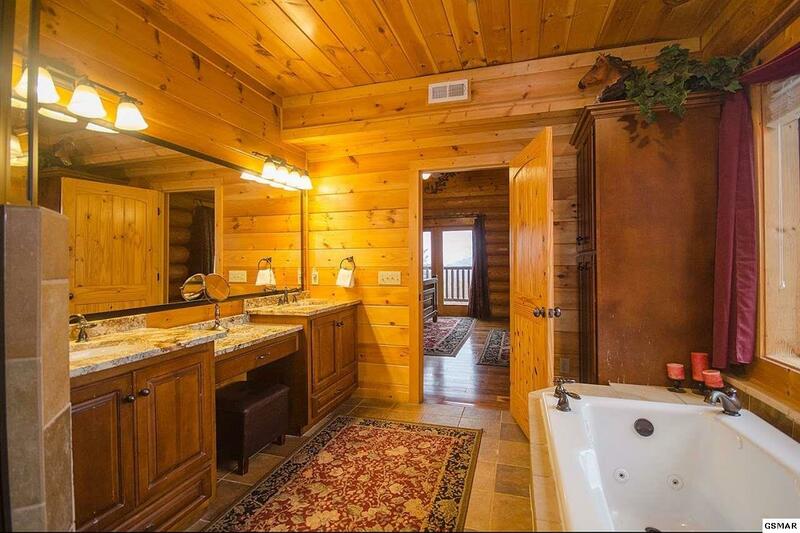 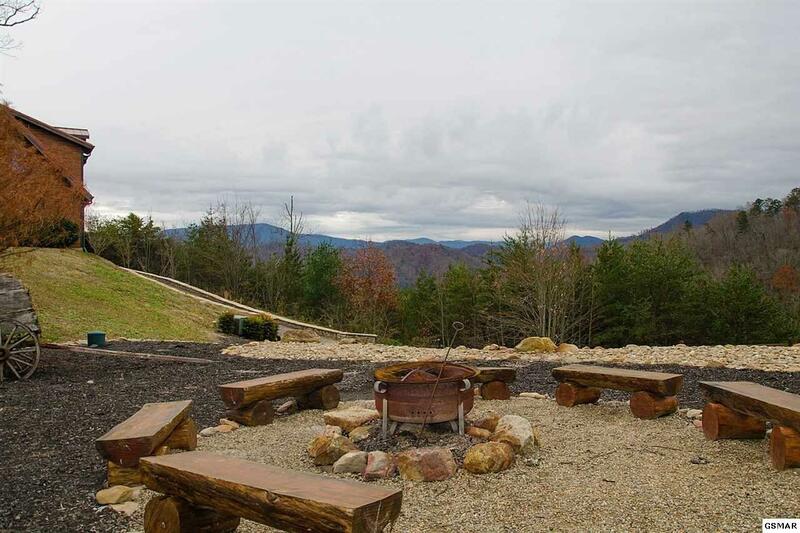 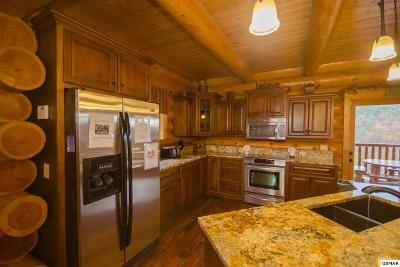 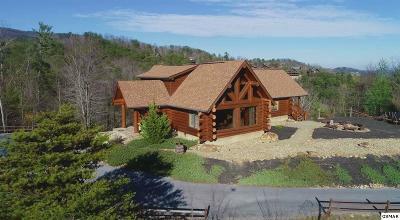 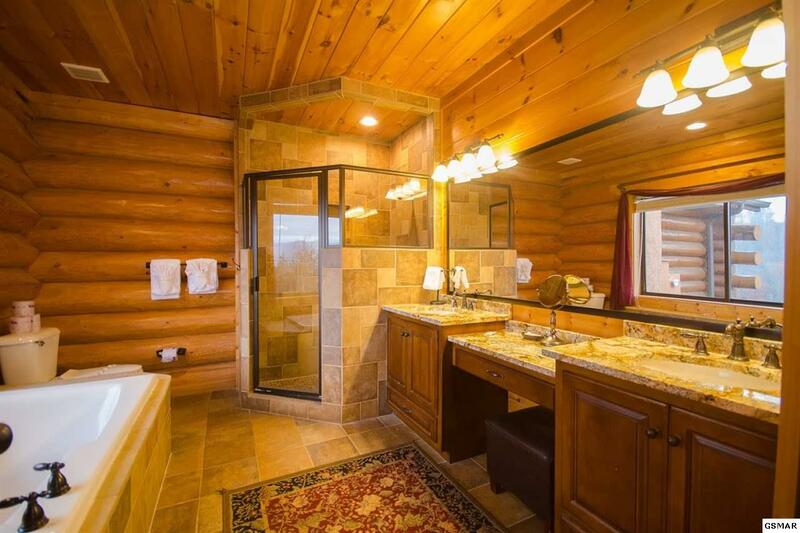 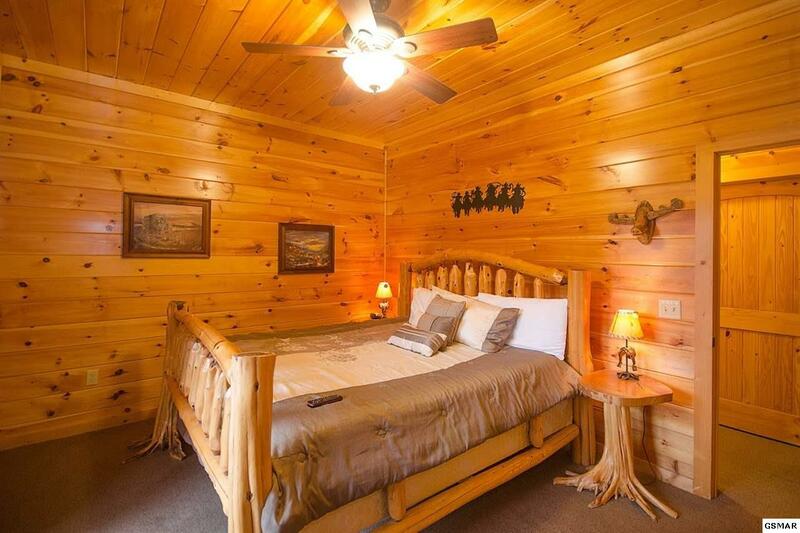 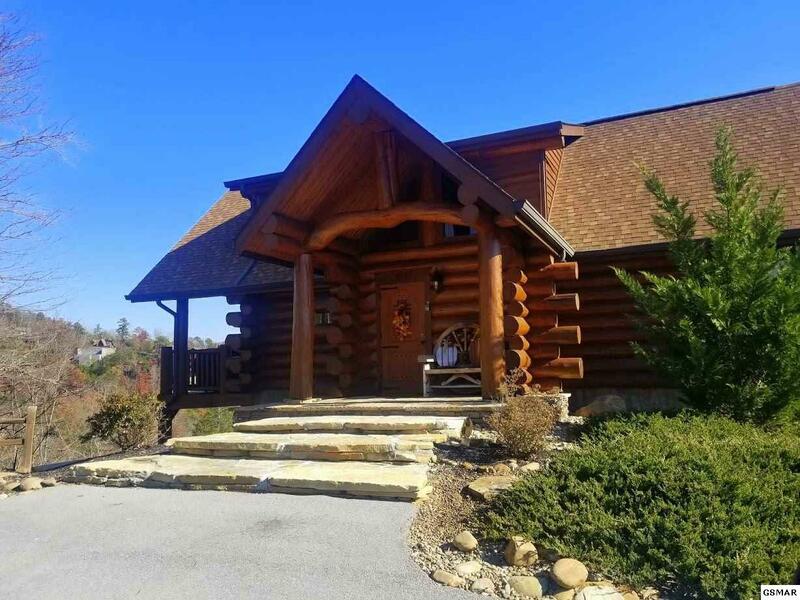 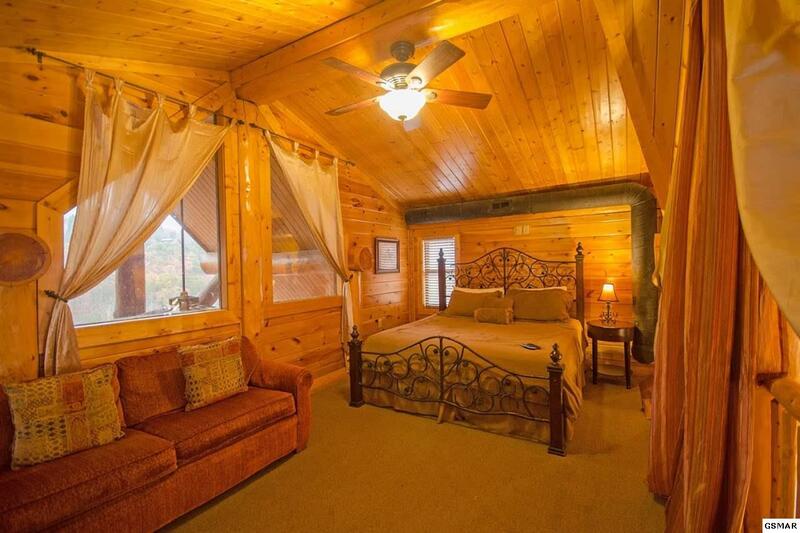 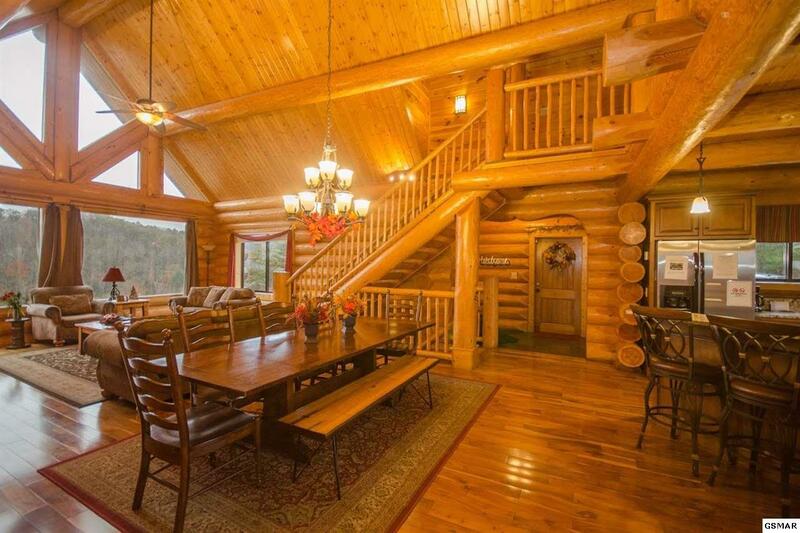 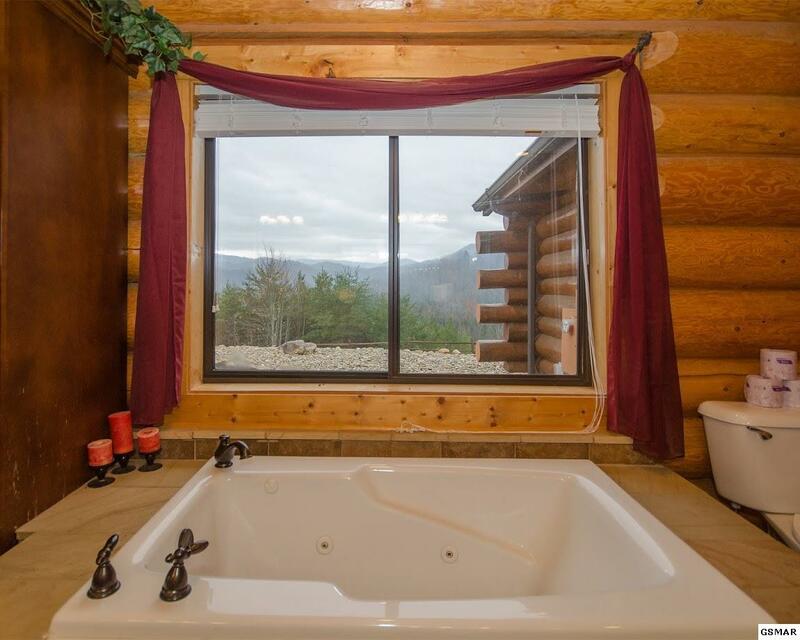 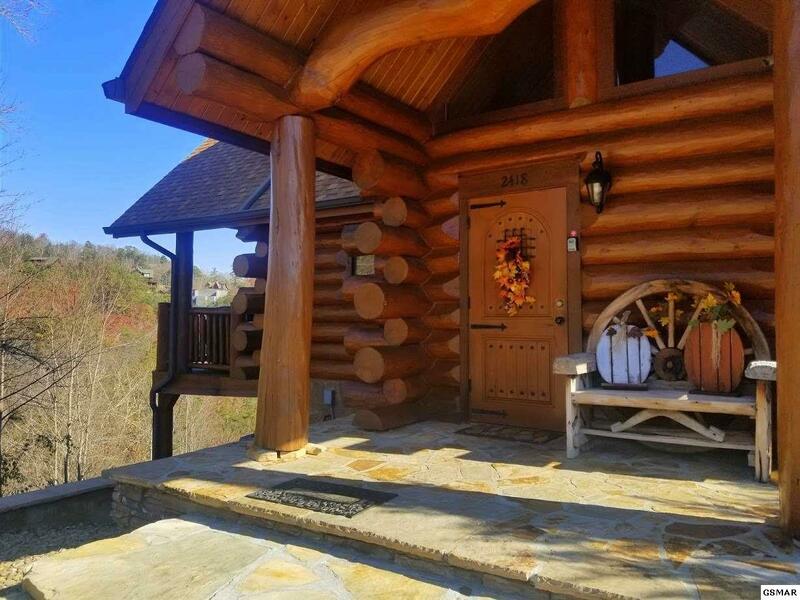 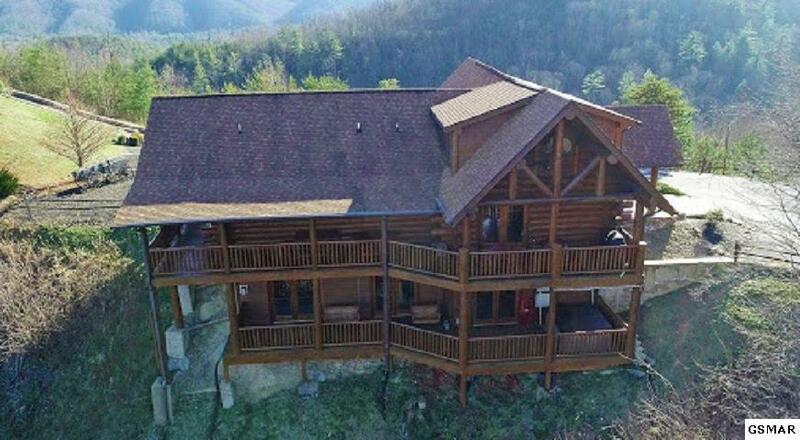 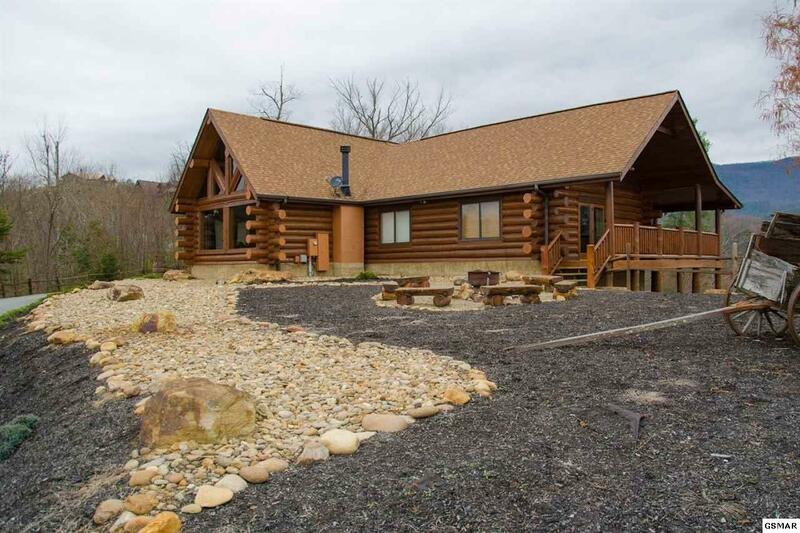 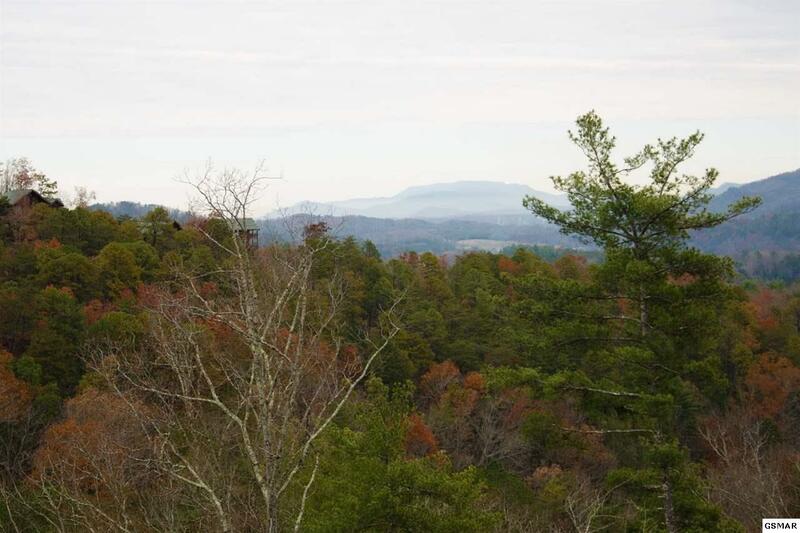 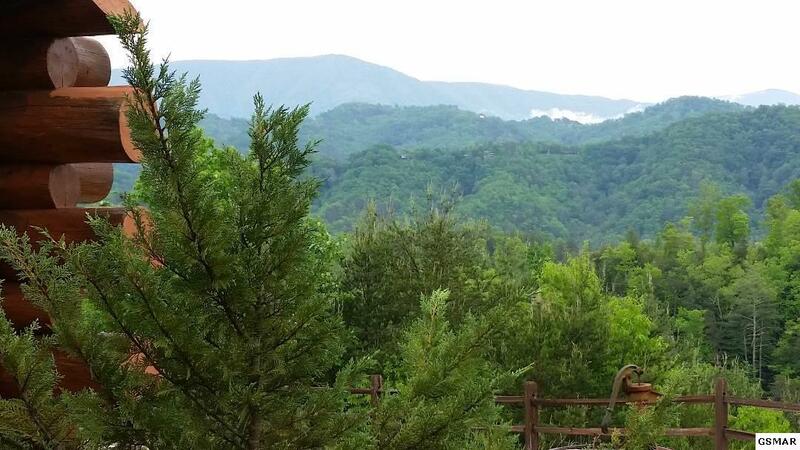 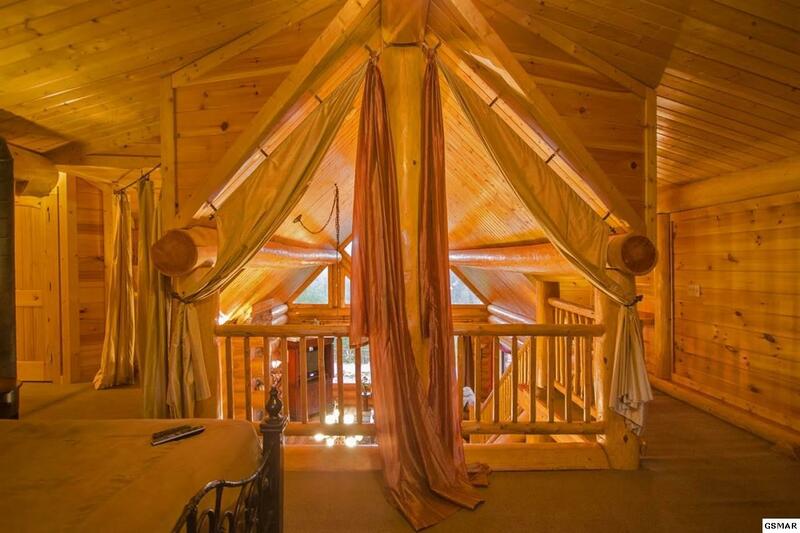 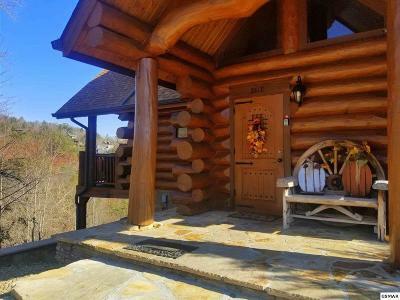 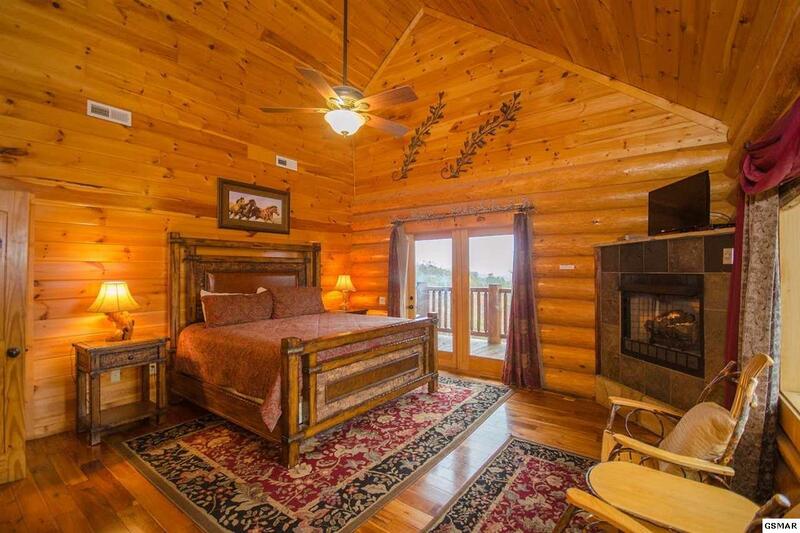 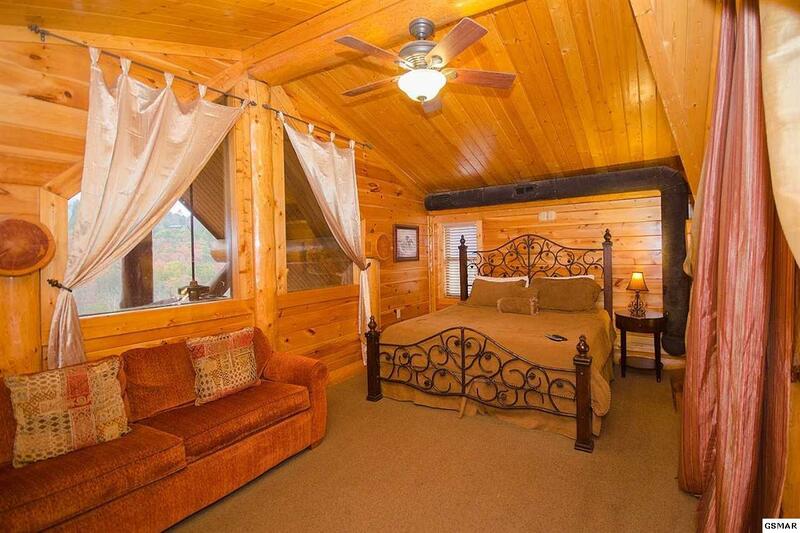 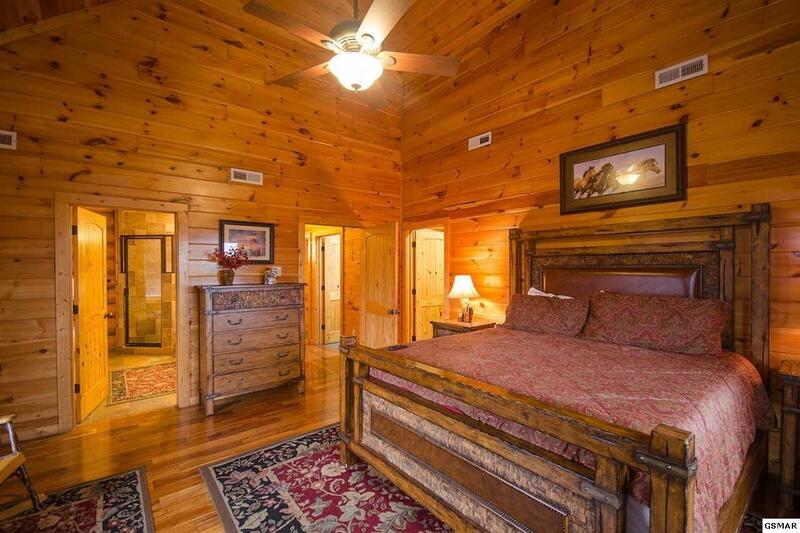 This custom built cabin has the large logs that were brought in from British Columbia and then assembled on a gorgeous lot in the Gated Section of Cedar Falls with breathtaking views of the mountains plus the evening lights of Pigeon Forge. 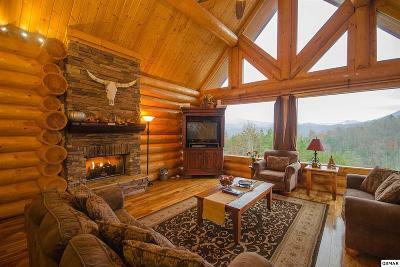 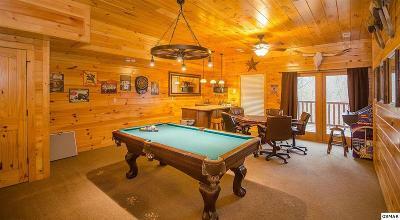 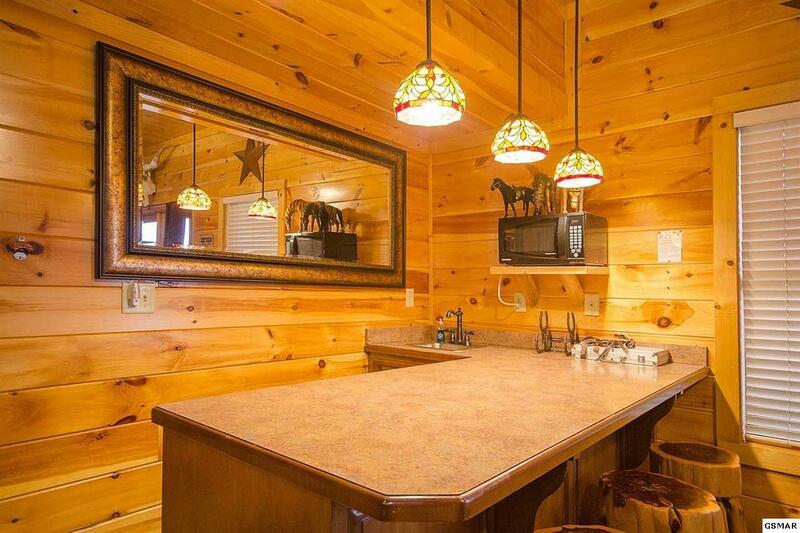 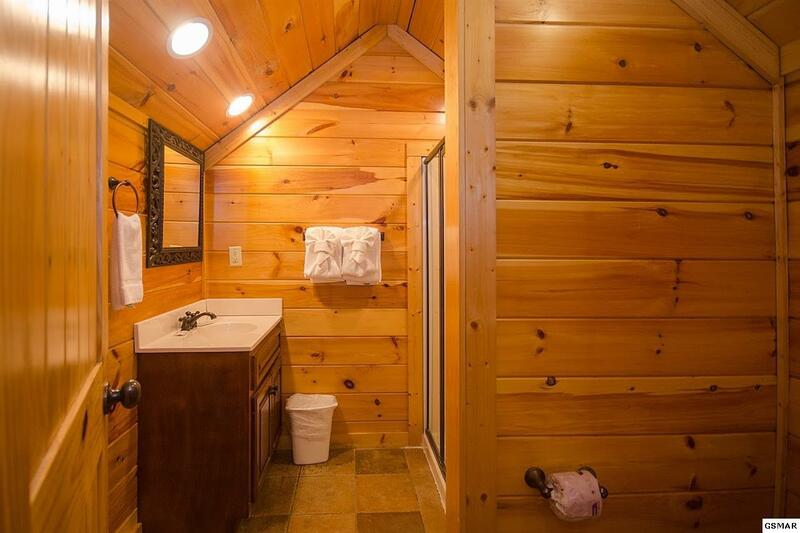 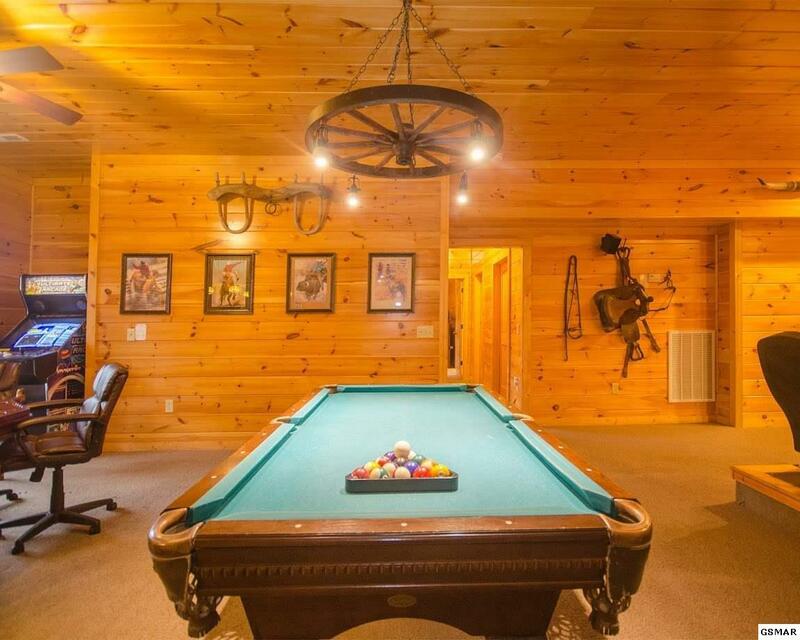 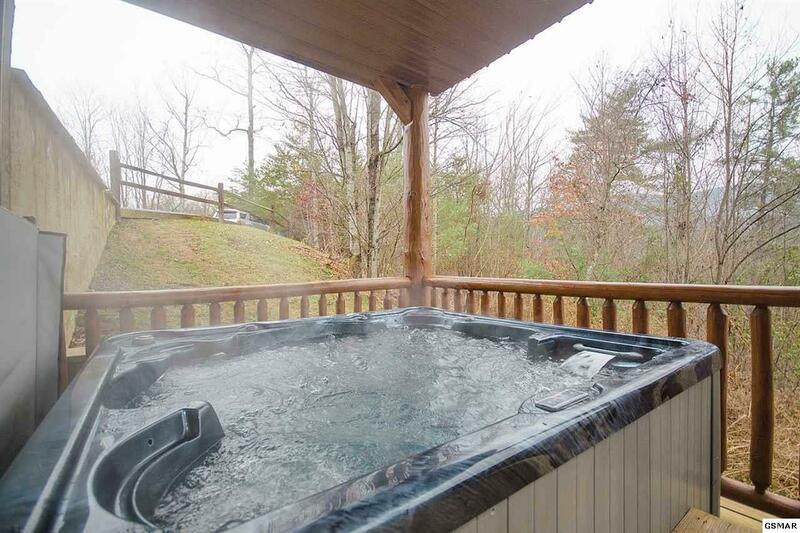 Rented as a 4 bedroom cabin, having custom furnishings that convey with the sale, God's Country boasts of many fine features that make it unique. 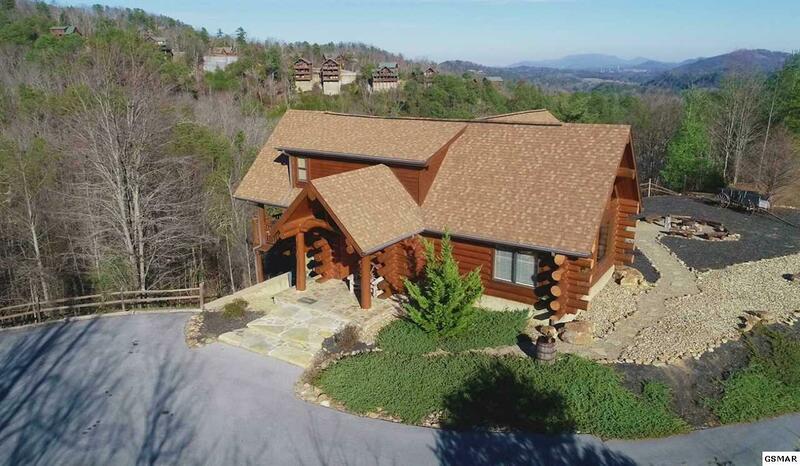 Custom Tile walk in showers, granite counter tops, floor to ceiling wall of windows in the Great Room to capture the mountain view, a theater room, wet bar and rec room on the lower level, magnificent log beam rafters, log railings, great finishing woodwork throughout and 2 decks for an abundance of outdoor space, as well as a fire pit.. 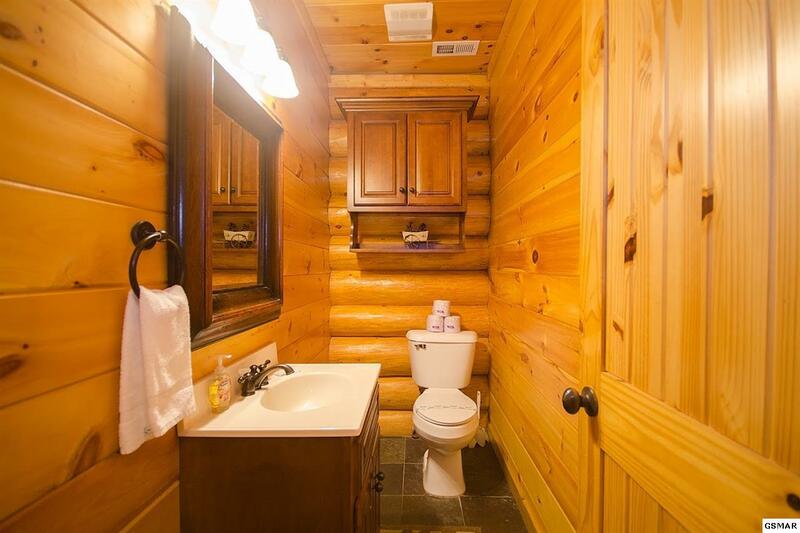 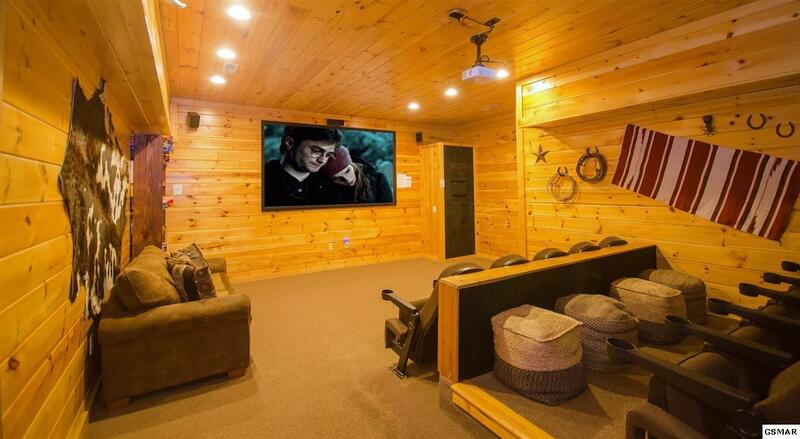 This cabin exudes luxury and quality! 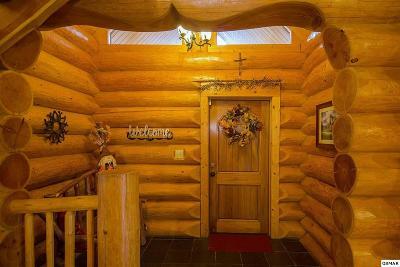 It is perfect for a permanent residence or continue as a profitable rental.